It's March 1, which means spring is around the corner. 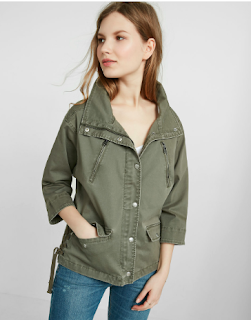 One spring trend I really love this year is the military jacket. It's versatile and easy to layer with just about any style. Throw it on with any casual look for an extra bit of flair. 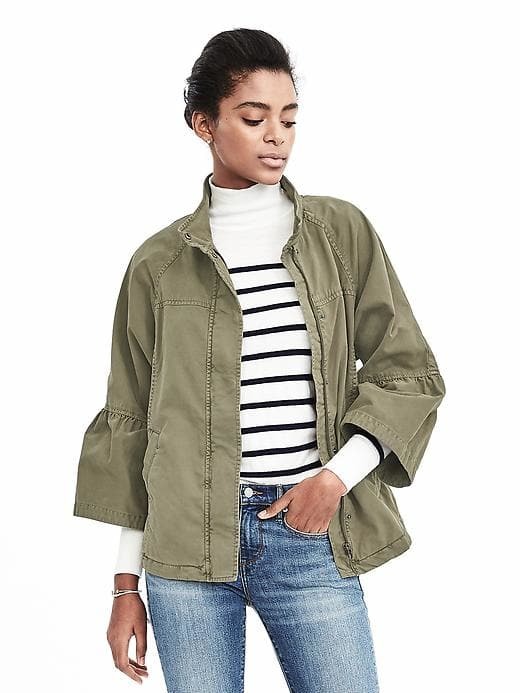 Bet you didn't see this feminine take on the military jacket coming. Love this. 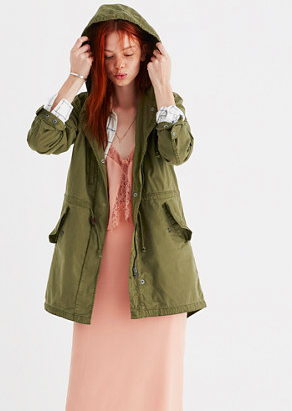 Love the idea of pairing this jacket with a dress. Such a great contrast. Great snap and zipper details, but can we talk about the lace up sides? How about some embroidered detail? Beautiful. 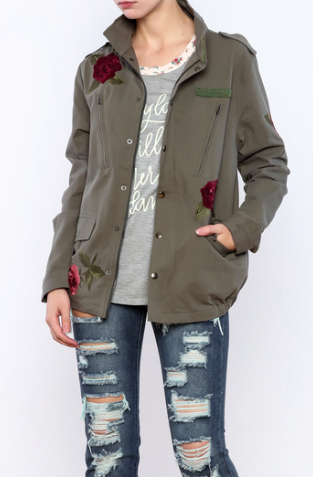 Military jackets are a great trend for spring. Much different then a floral or eyelet for the warmer weather. That full sleeve jacket is everything! I love the military style but I need a little something extra so that would be perf!